What Are the Signs of a Sinus Infection? It’s a good idea to consult with a doctor if you have any of these symptoms, particularly if they don’t improve in a few days. 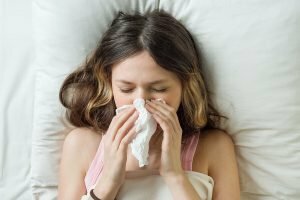 How does a sinus infection differ from a cold? You may think that many of the above symptoms sound like a cold. If so, you’re not wrong – sinus infections and colds share many of the same symptoms. In fact, a sinus infection may develop from a cold, which is a viral respiratory infection that sometimes causes the sinuses to swell. One of the main differentiators between a cold and a sinus infection is how long symptoms last. Colds tend to resolve on their own in about a week, but sinus infections can last much longer and may require antibiotics to treat. Less commonly, some individuals develop chronic sinus infections that can linger for more than three months at a time. How are sinus infections treated? If a sinus infection is caused by a virus, treatment often involves plenty of rest and relaxation to help the immune system fight off the virus. However, visiting a healthcare provider – such as the board-certified, emergency medicine-trained physicians or Nurse Practitioner at STAT MED Urgent Care – can help you find relief from bothersome symptoms. At our fully equipped urgent care centers in Dublin, Livermore, and nearby communities in San Francisco’s East Bay, we can prescribe saline nasal sprays, decongestants, and nasal corticosteroids to reduce discomfort as you heal. Our providers can also determine if antibiotics are necessary to cure the infection and provide the appropriate medication. 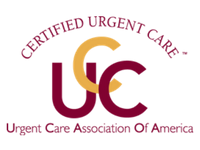 STAT MED Urgent Care provides sinus infection treatment to pediatric and adult patients 365 days a year without an appointment. Our doctors can also provide convenient follow-up care to ensure your infection has resolved and you’re back to feeling like yourself as quickly as possible. Visit us today! Our centers in the Dublin and Livermore, CA, area are easily accessible, are in network with most major health insurance plans, and even offer payment plans. We make it a priority to keep wait times brief, but to expedite your visit, be sure to take advantage of our convenient online check-in system.